When I checked into the Hampton Inn & Suites Buffalo Downtown, I wasn’t expecting much other than a comfortable bed. I did get that…but also a whole lot more! The hotel was very modern and fresh, but still very comfortable. From the moment I stepped into the lobby, the staff was very friendly. 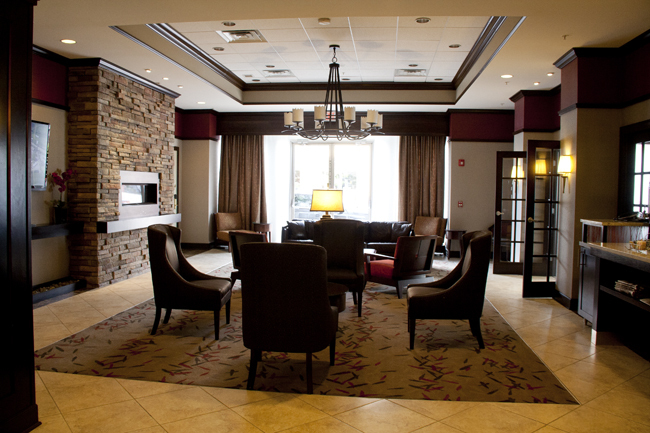 The lobby is spacious and has a library for you to work in or just read a book. The lobby also has complimentary coffee and tea, which is always a great perk. The hotel also has a pool if you enjoy swimming, free airport transfer and free WiFi. The hotel is smack in the middle of downtown Buffalo, so you can’t beat the location. Niagara Falls is about 10 minutes away. I was traveling with my whole family, and we had decided to share a room. 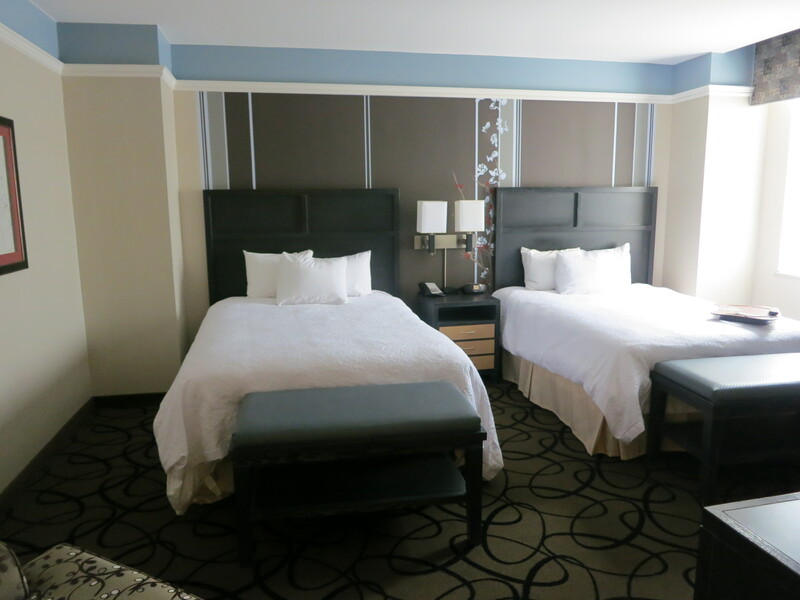 We all agreed that the beds were extremely comfortable, and we all liked the simple, elegant decor. I have this thing against beige hotel rooms, so I really appreciated the pretty, swirly carpet and the slate grey walls. 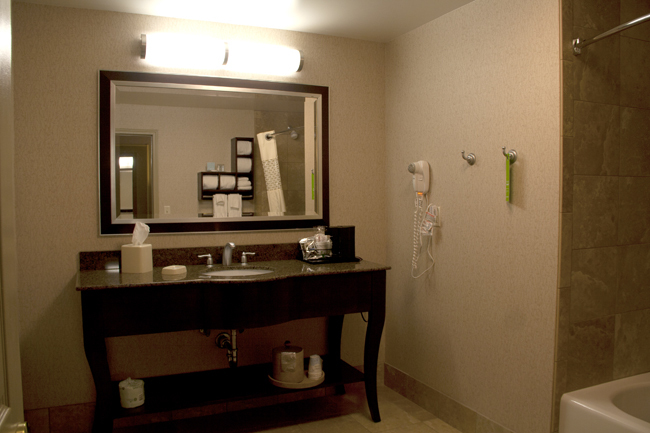 My sister and I loved the bathroom, because it was huge and had plenty of towels for a family of 4! The breakfast was beyond my expectations. It included: bacon (! 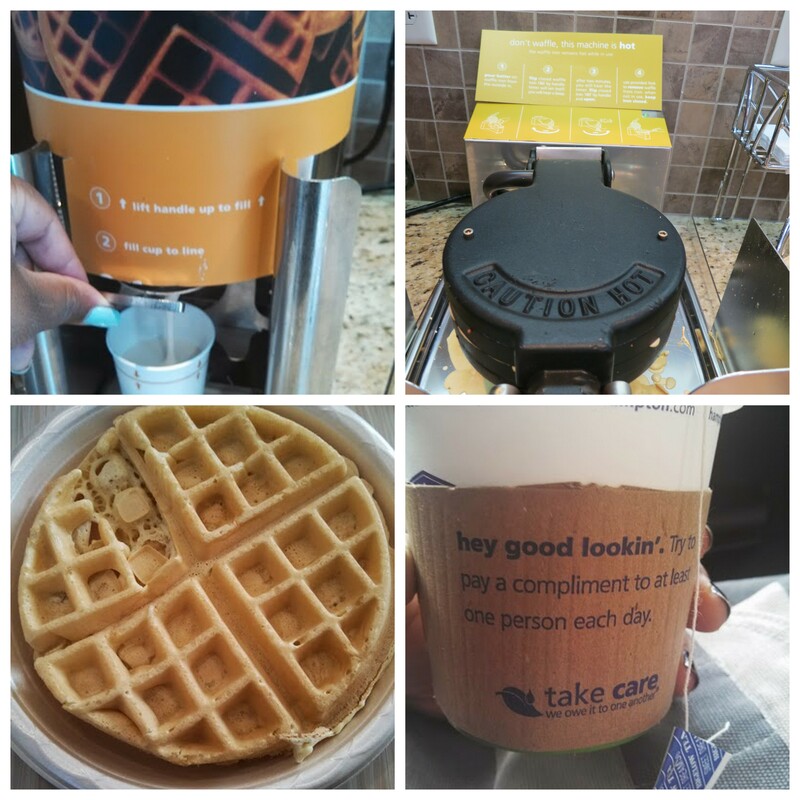 ), scrambled eggs, toast, bagels, English muffins, fruit, pastries and waffles. Yeah, that’s right. You get to make your own waffle. They have a machine with batter and a cast iron waffle maker. You could potentially have unlimited waffles, although the breakfast is pretty filling, so one will probably do. Another favourite was the healthier choice of Kashi cereal, along with your usual staples of Fruit Loops and Frosted Flakes. Also, how cute is that to-go cup? All in all, I thoroughly enjoyed my stay at the Hampton Inn. I highly recommend that you stay here if you are ever in Buffalo! Oh, and do the Silo City Tour and visit the art gallery. I’m standing inside of a grain silo, craning my neck to see up to the top. “This is my favourite part,” Ric Prong, our tour guide, tells me. 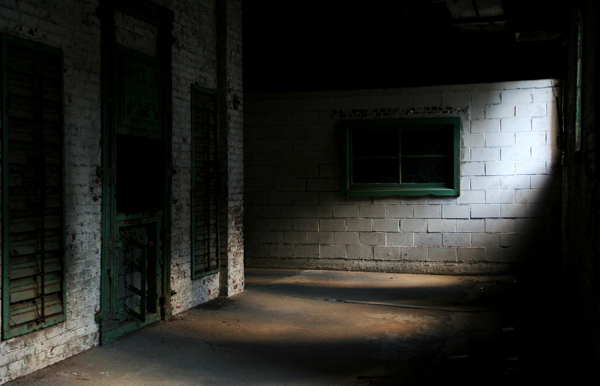 He faces away from us and towards the hallway of grain silos. He yells, there is a slight delay, and his voice echos back at us. 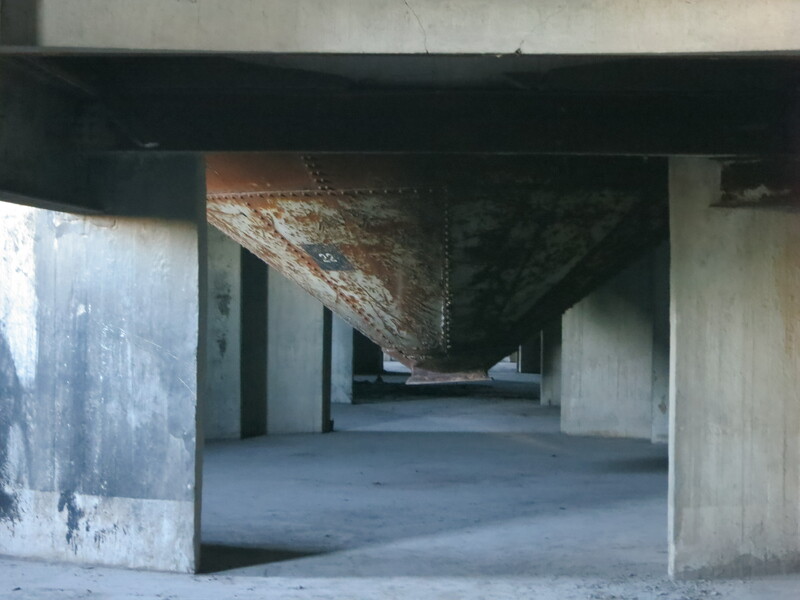 The echo in this grain silo travels for 6 seconds. It’s pretty cool. In fact, the entire tour is pretty cool. 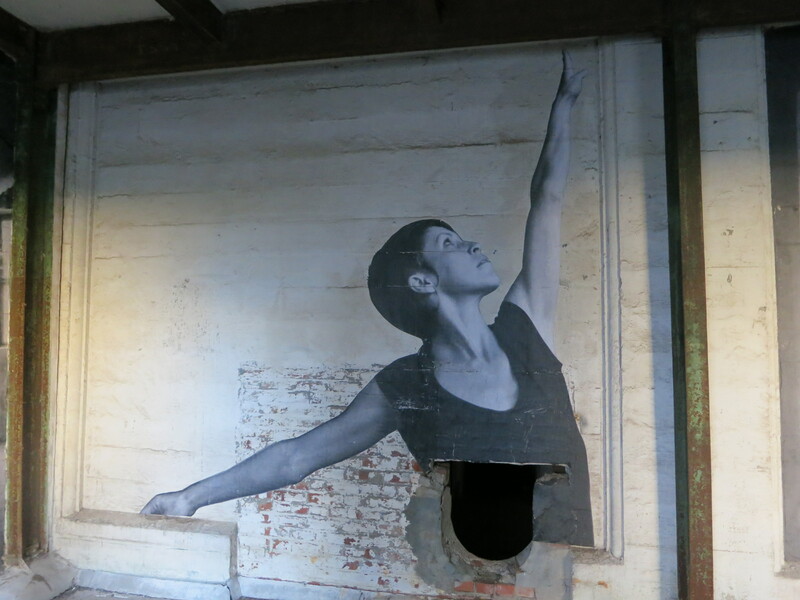 I am on a Inside Silo City tour in Buffalo, New York. This brand new tour brings you down the river in Buffalo in an old U-boat that was used in the Navy. The tour is 90 minutes long, and is fascinating. 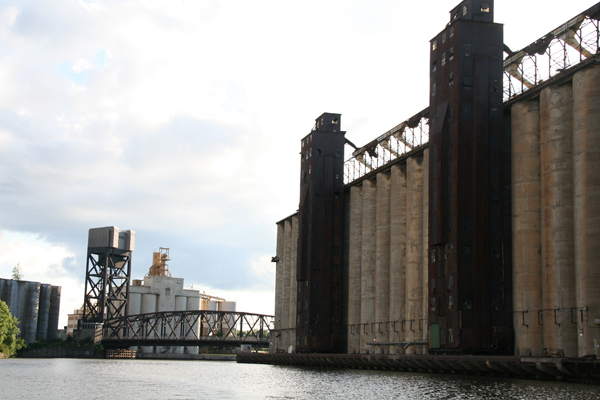 During your journey down the river you learn about the history of the now defunct Eerie Canal and Buffalo’s history as the largest grain port in the world. The oldest building in Buffalo. 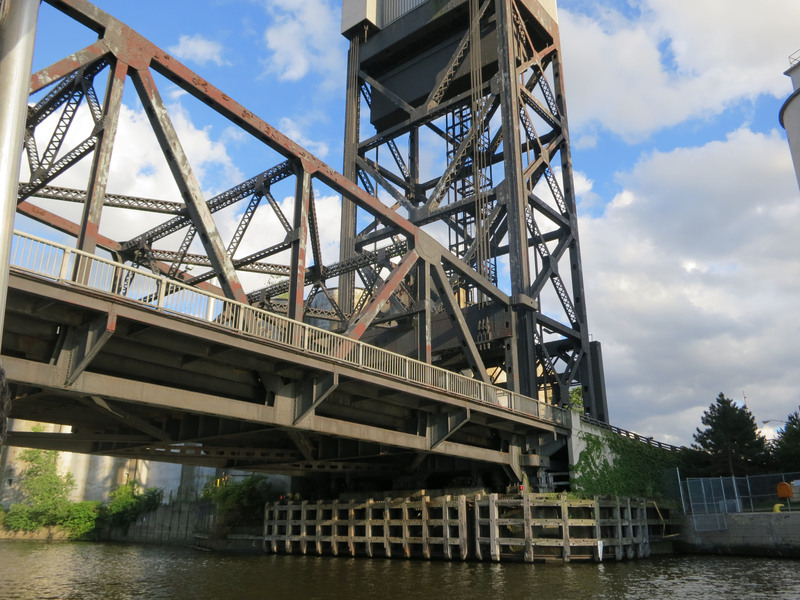 As you go down the river, you see industrial bridges, dilapidated buildings and, jarringly, people kayaking down the river. It’s a juxtaposition against the stark industrial shoreline. Of course, it’s not all industrial. There are some houses along the river as well. It’s quite beautiful. After about 20 minutes, the boat docks and we are all taken on a tour to see the grain silos. A silo is a tall structure used for storing grain. They also sometimes hold coal or sawdust. 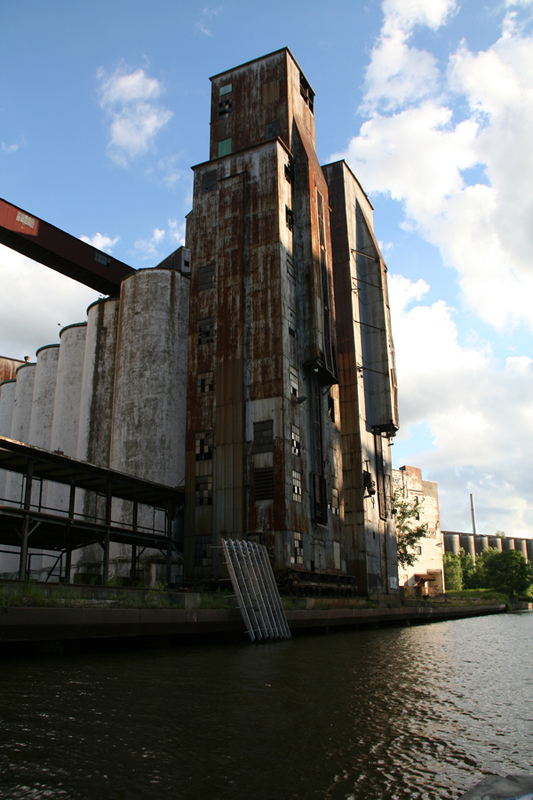 The silos that we explore during this tour are all grain silos. Grain can be stored in these silos for 8 to 10 years. Wow! 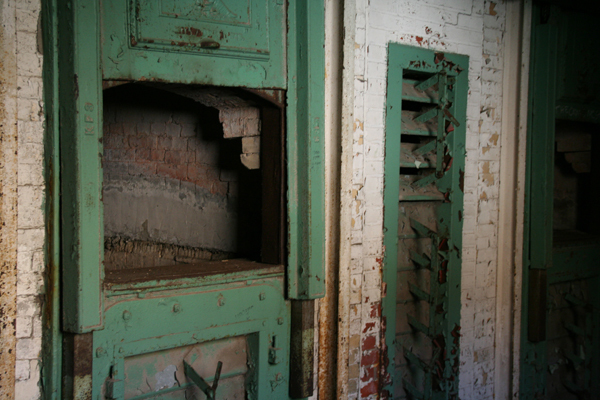 These grain silos were used to store barley. Barley is processed to make malt, and Buffalo is home to one of the largest malting plans in the world. Hardworking immigrants would work for almost nothing to turn the barley into malt. Joseph Dart constructed the first grain elevator. This wooden structure would have had steam driven scoops that would go down into a ship, scoop up grain and then hoist it up into the silos. 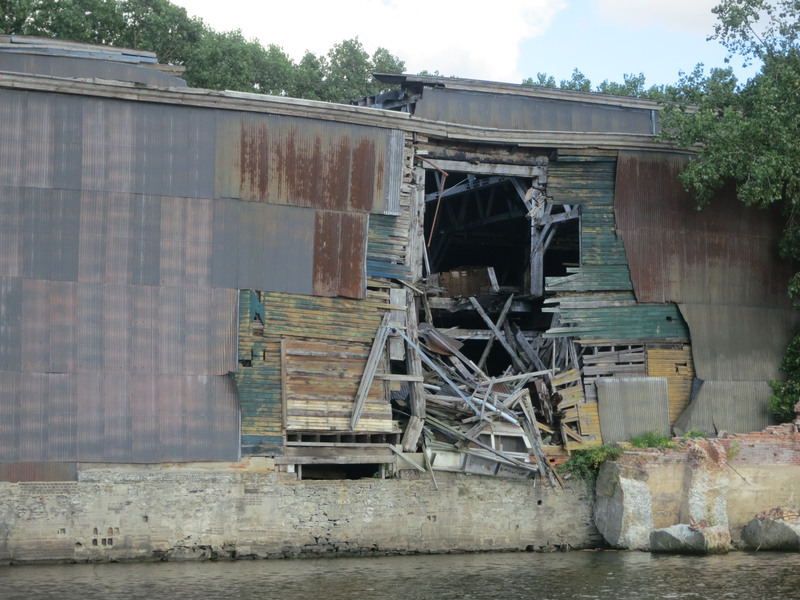 You can see an old grain elevator during this tour. The last grain elevator was built in 1954. 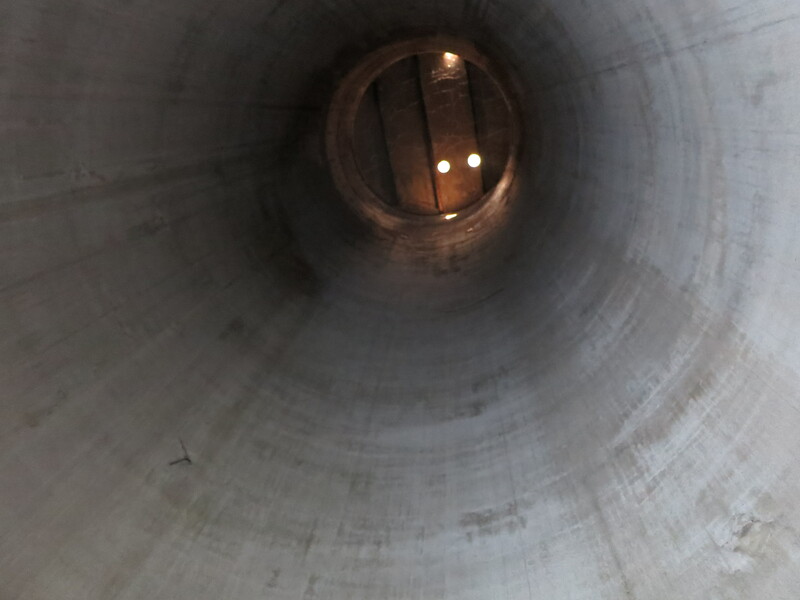 Looking way up into the silo. 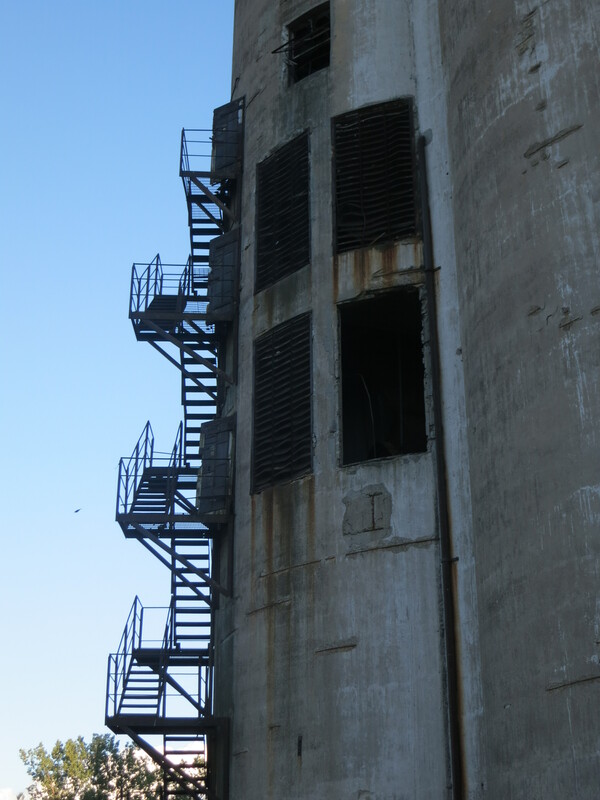 I loved exploring the silos and hearing the history behind them. A lot of the buildings have been abandoned, but a few are in use. It’s very industrial, a little eerie and beautiful. Ric is a very engaging tour guide, passionate about his subject. Did you know that a concrete grain silo is at its strongest when it reaches 100 years old? 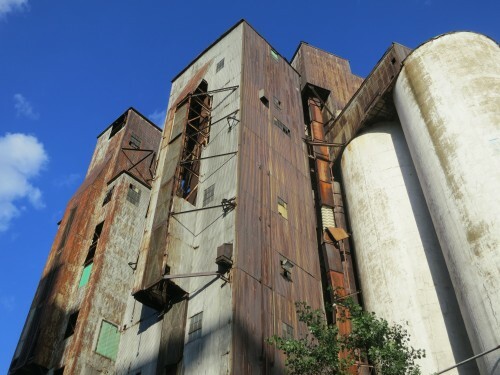 Soon the silos will turn 100, and Buffalo is finding new and interesting ways to re-purpose them. They’ve had art installations, music concerts and now they’ve raised enough money to turn one into a rock climbing wall. I can’t wait to see what ideas they come up with next! 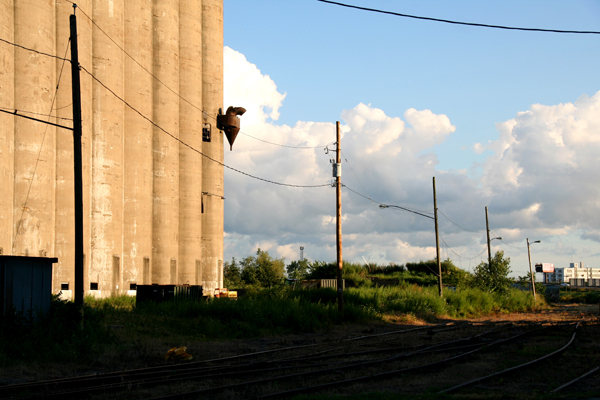 Buffalo still has ties to its grain filled past, though. 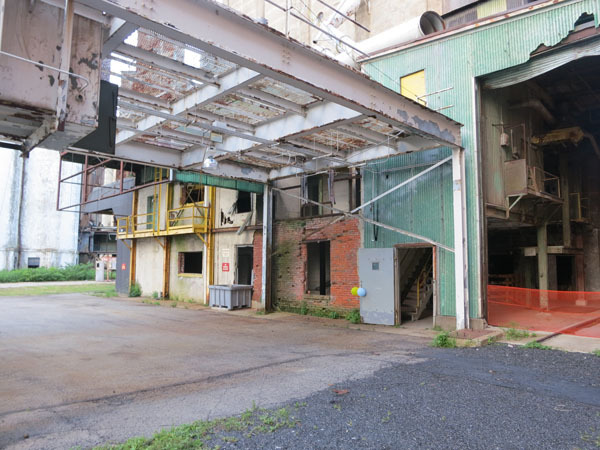 General Mills produces Lucky Charms and Cheerios along the river in their factory. 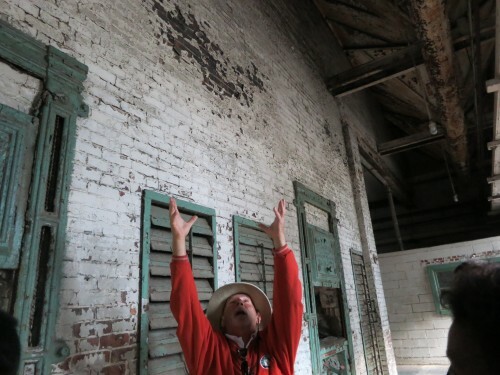 If you love history, architecture and want to see a new side of Buffalo, then you need to go on this tour! 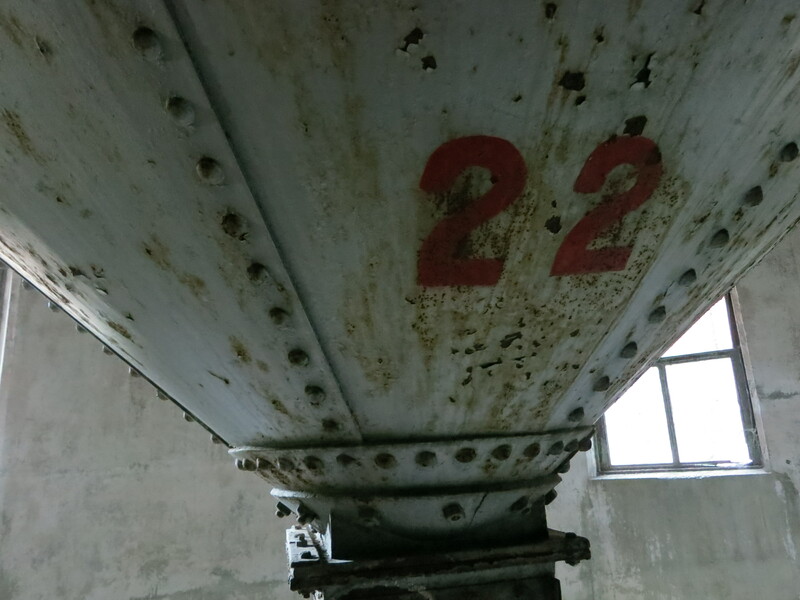 Inside Silo City Tours depart daily from Canalside and are 90 minutes long. Adults are $27 and kids are $17. 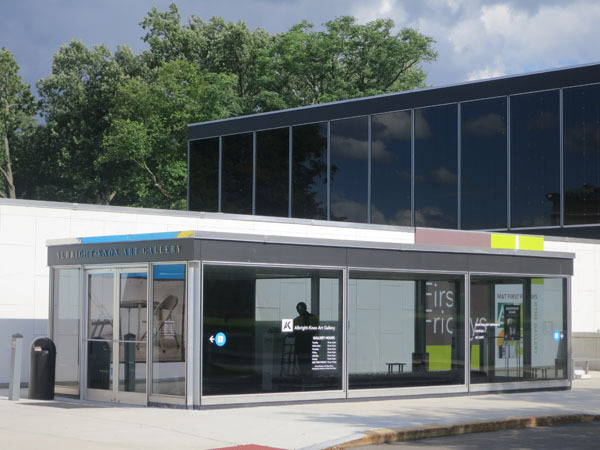 The Albright-Knox Gallery has a beautiful collection of modern and contemporary art. During a weekend trip to Buffalo, I was lucky enough to catch their “Sweet Dreams, Baby! Life of Pop, London to Warhol” exhibit. I just love pop art, so I was incredibly glad to be able to see this exhibit. Life of Pop is the first comprehensive survey of the Gallery’s expansive holdings by this important group of artists. This exhibition offers an in-depth look at rarely seen works from the Gallery’s Pop art collection, while providing a historical analysis of the movement’s influences, key contributors, techniques, themes, trends, and legacy. 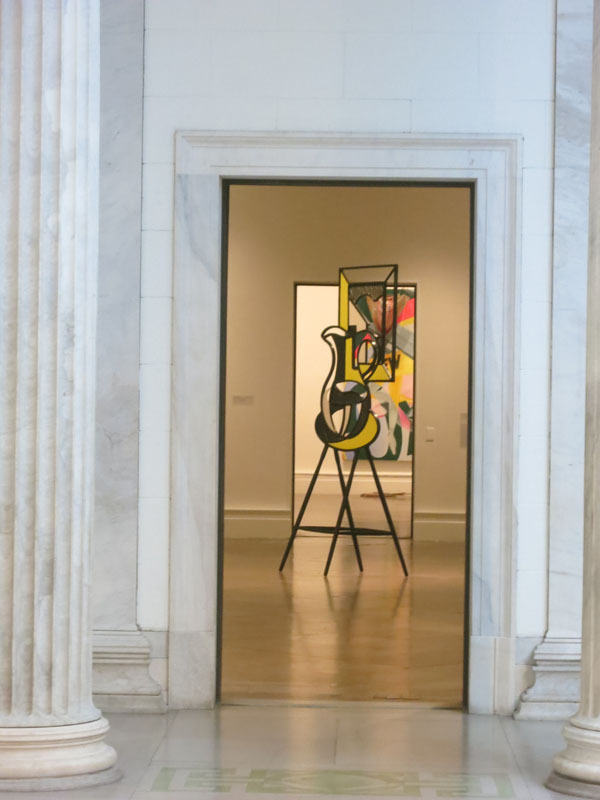 Beginning with select works by artists associated with the British Independent Group, a 1950s precursor to Pop art, the exhibition also traces the bridge from Abstract Expressionism to Pop’s explosive, colorful, and witty portrayals of the modern world. Transitional works by the painters Jasper Johns (American, born 1930) and Robert Rauschenberg (American, 1925–2008)—who incorporated elements of everyday life with a more gestural, painterly approach, and included found materials on their canvases—are also featured. Their influence paved the way for Pop art’s reconceptualization of ephemeral objects and recognizable symbols. In total, this exhibition will feature more than fifty works in all media. I loved seeing the work of Roy Lichtenstein and discovering the work of John Wesley. They also had some lovely pop art prints for sale in the gift shop. This exhibit runs until Sept. 8th, so don’t miss it! 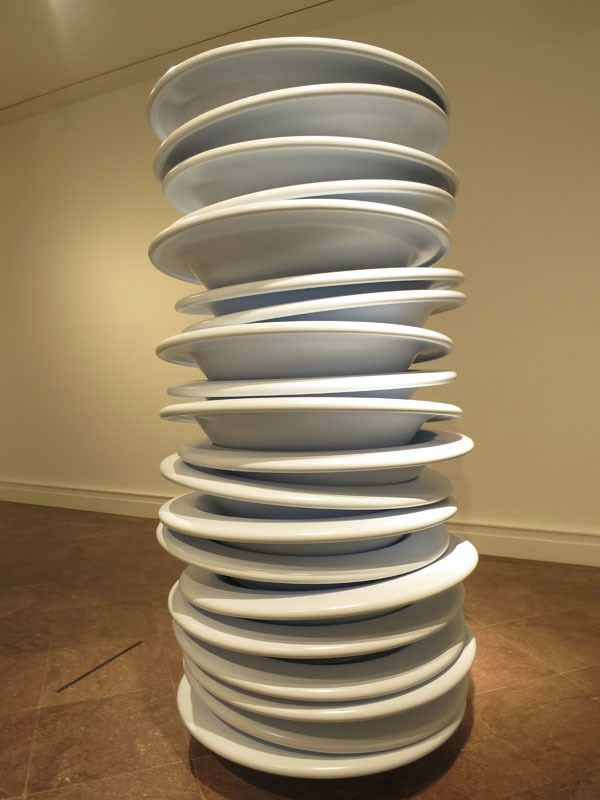 You can also enjoy the surreal experience of the Robert Therrien exhibition. Giant metal tables and chair dwarf you as you gaze up at these larger than life objects. His exhibition runs until Sunday, October 27, 2013. The permanent collection also has some nice pieces. One of my favourites is the scribble staircase. 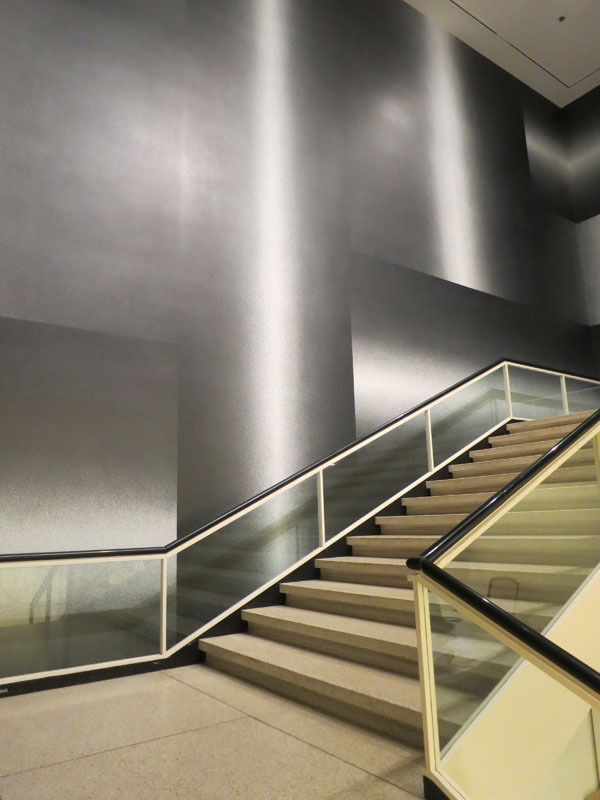 This stairwell is the largest commissioned scribble drawing by American artist Sol LeWitt. 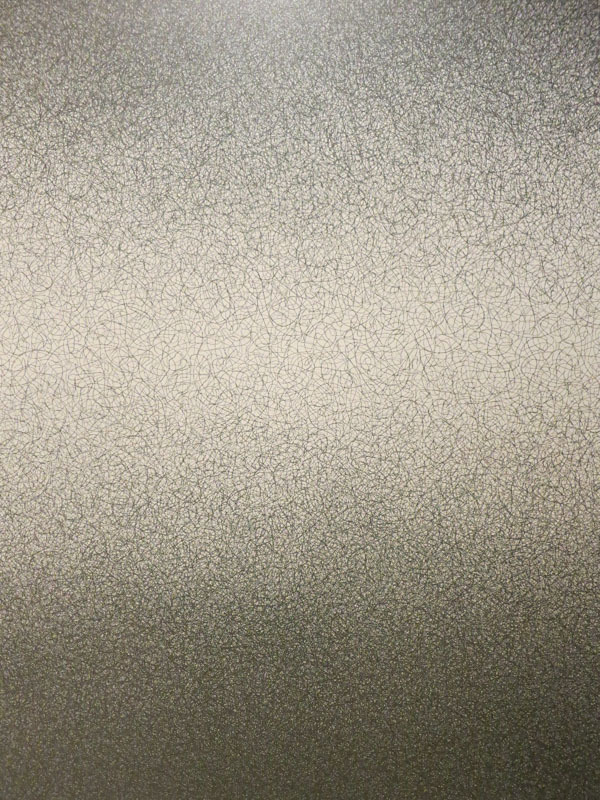 If you look closely, you’ll see that the wall is made up of hundreds of tiny scribbles. This took 52 days to complete! 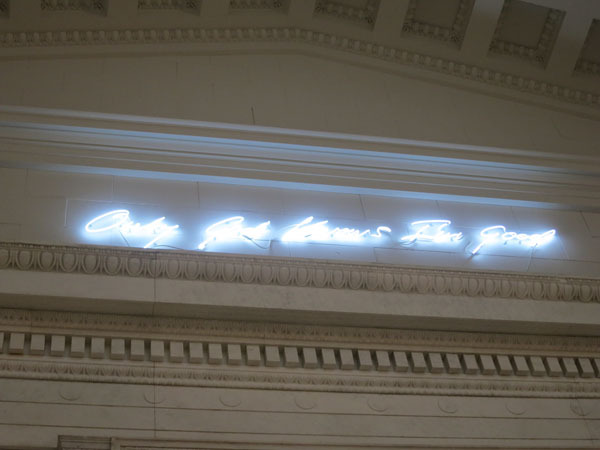 The Albright-Knox gallery has interesting exhibitions and a large permanent collection. 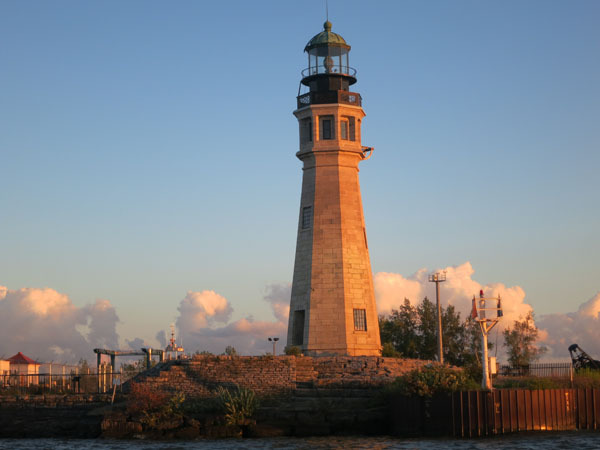 Be sure to visit if you are ever in Buffalo! 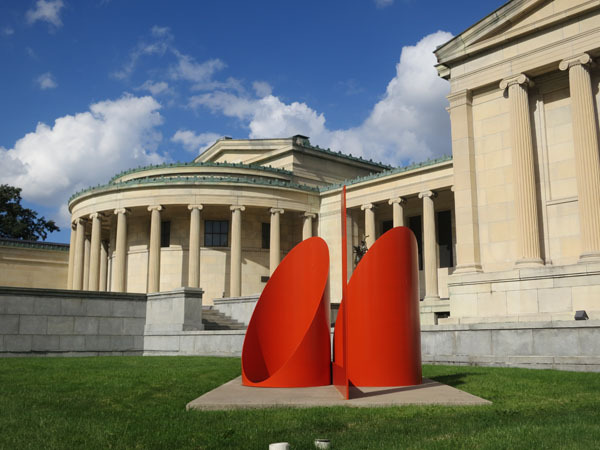 The Albright-Knox Art Gallery is in Buffalo, New York at 1285 Elmwood Avenue.